A collection of essays on the 1960s experimental writer B.S. 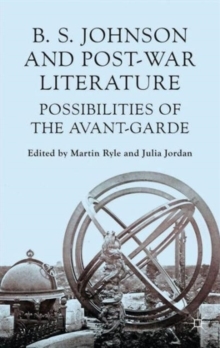 Johnson, this book draws together new research on all aspects of his work, and, in tracing his connections to a wider circle of continental, British and American avant-garde writers, offers exciting new approaches to reading 1960s experimental fiction. Pages: 221 pages, IX, 221 p.